Tune in to episode 2, where we discuss how amazing prologues can be! Especially tantalizing, voicey ones! 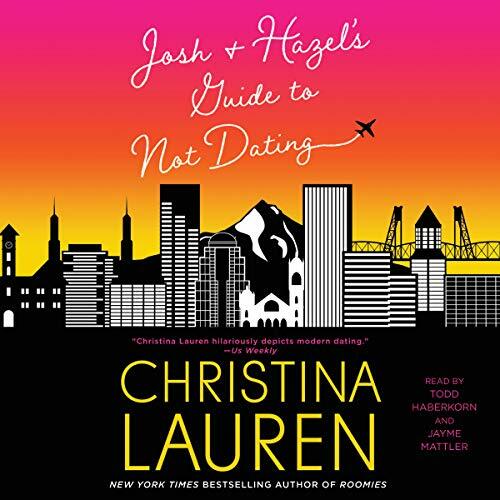 Josh and Hazel’s Guide to Not Dating is available on Apple Books, Audible and Amazon, among other audio vendors. We learned that Tanya’s production company, Blunder Woman Productions, is producing an audio play called Keeping A Breast. And that she’s going to be on an episode of Nailed It! on Netflix next month! Sarina has a new book out! Fireworks is available: Paperback | Amazon | Apple Books | Kobo | Nook | Google. And that’s it! Thank you for listening!